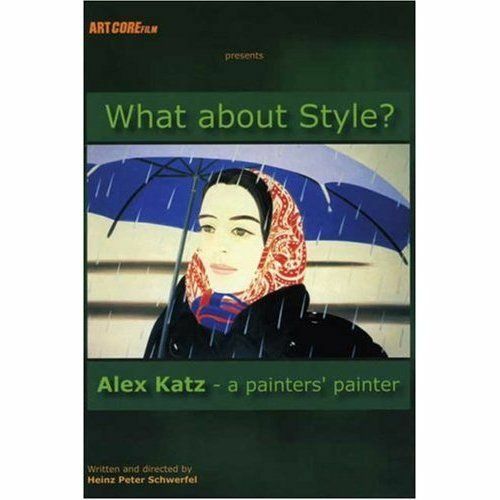 ALEX KATZ: WHAT ABOUT STYLE? For over 50 years, painter Alex Katz has bucked trends in modern art to pioneer and refine his own style of flat, elegant, and realistic figure painting. What About Style? offers an uncluttered view of this American maverick. Filmmaker and art critic Heinz Peter Schwerfel captures the elusive Katz working in his Maine studio and his Soho flat, laboring over a 32-foot painting called The Black Brook. 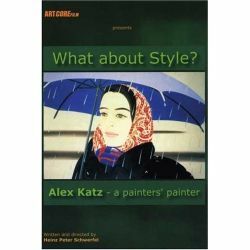 Interviews, archival footage, images of his subjects, and a virtual tour of 20 Katz paintings are combined to convey his unique style to the viewer. In English.